It’s remarkable what some one can do when they wake up pre-noon and feel semi-motivated. In August I will be moving into my first apartment and I want my room to have a color scheme/theme. I’m tired of having random mismatching items and since I have lived in a dark basement for the better part of my entire life, I wanted something bright and beachy... but let’s not get ahead of ourselves. I started my day with a voyage to Goodwill. * I flung open the doors and made a bee-line straight toward the furniture. 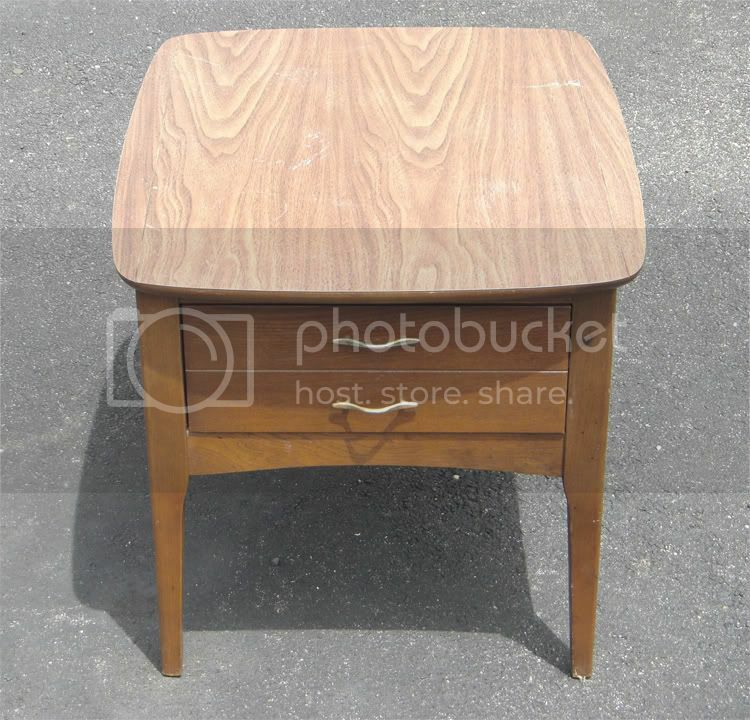 I noticed the only piece without a bright orange “sold” sticker was a lonely, scuffed up end table. I looked the table over carefully, there were no major flaws or wobbliness. * I lifted the table in a manly type of way to inspect the underbelly of the beast; not one spider web in sight. I rolled the table back over and saw the price tag, $4.95. 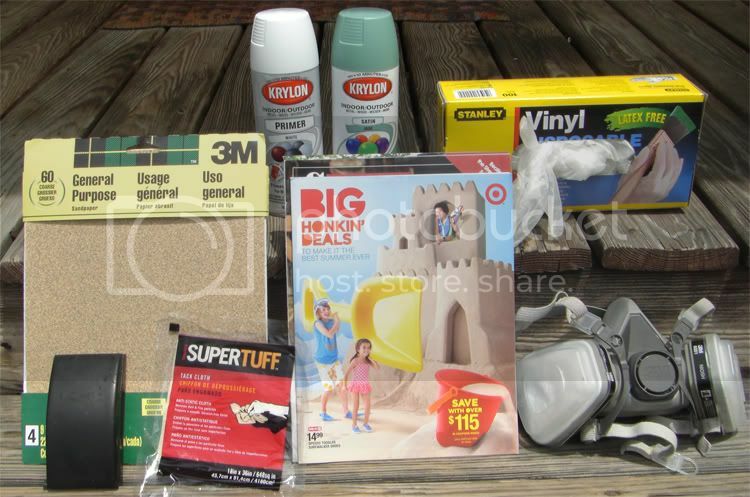 I unloaded the car when I got home and thought, “I’ve wanted a theme for my apartment, why not the beach?” I got the table out and this is where my DIY Thursday picks up. 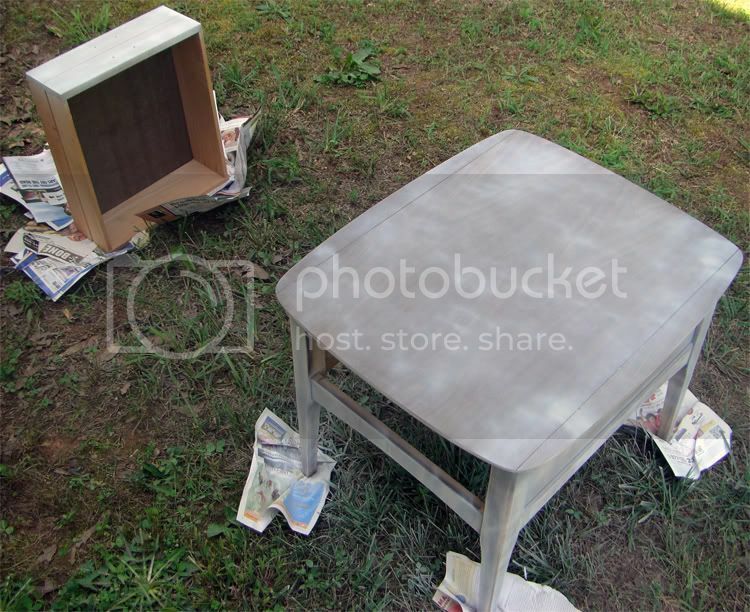 TL;DR - Went to store, got table, rednecks hate me, I want to paint. 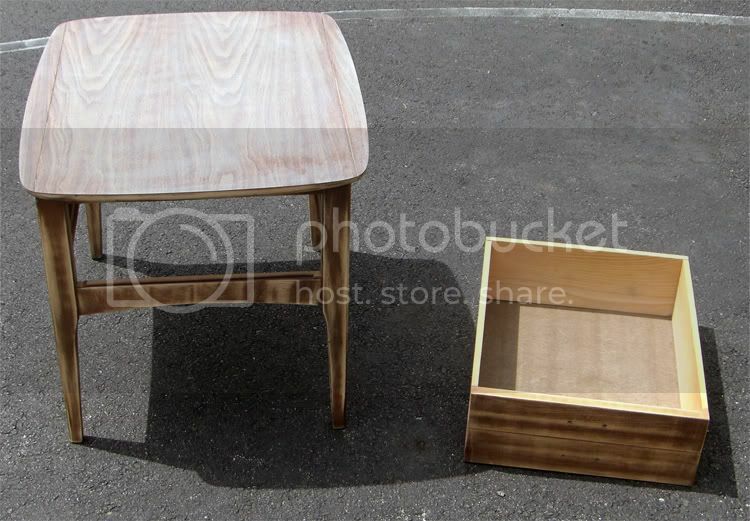 I took out the drawer, took off the handles and sanded everything down by hand. 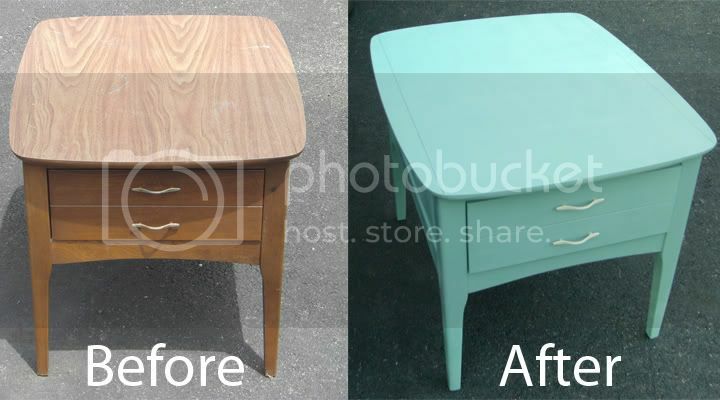 I finished up by doing multiple light coats of "Jade" Krylon Paint for the table and drawer and "Almond" Krylon paint for the handles. 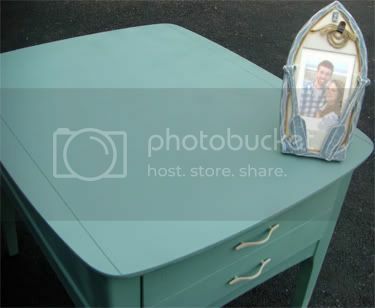 *I like the way the desk turned out and I think that it will make a good "beachy" piece and go well with my boat picture.